6% of us think it's perfectly normal to snack in this location...where is it? No-one guessed this morning - so listen to the location here. And celebrating World Book Day, and World Science Day, Neil and Tina are going to test themselves with a Science Quiz...see how they get on tomorrow. And things you never thought you'd you see! As Fatboy Slim plays 'House the House', a charity gig in the Terrace bar of the Houses of Parliament, we asked about things you never thought you'd see. 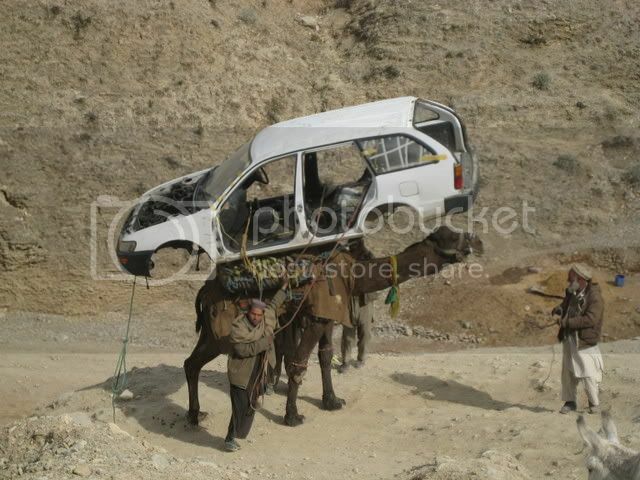 We liked this picture too - of a camel carrying a car - things you thought you'd never see!